Dr. Darren Chin of Ohana Medical Spa specializes in providing Coolsculpting® and BodyFX® procedures for patients in Scotch Plains, New Jersey. Coolsculpting successfully targets and destroys resistant fat cells that are unresponsive to diet, exercise, and other methods, and BodyFX permanently kills fat cells, reduces cellulite, and contracts and tightens your skin. If you’re interested in effective, non-surgical methods of fat loss, cellulite removal, and skin-tightening, visit the Ohana Medical Spa to find out more about body contouring. Call or click to book online. Coolsculpting is a nonsurgical, noninvasive procedure to reduce fat in certain targeted areas. It aims to reshape body contours and provide the localized reduction of fat deposits in just one to three hours. Coolsculpting works best on areas of stubborn fat that don’t respond to diet and exercise. The recovery time is minimal, and you can typically return to your daily activities shortly after. The Coolsculpting procedure uses the science of cryolipolysis — controlled cooling that targets and kills cells of subcutaneous fat tissue without damaging your overlying skin. Dr. Chin uses a handheld device with applicators resembling the nozzles of a vacuum cleaner to perform the procedure. Dr. Chin applies a gel pad and an applicator to your target area and the applicator delivers the controlled cooling. Dr. Chin administers the suction and cooling technology and gently moves the device over your skin. Dr. Chin typically leaves the device on your skin for about an hour before removing the applicators and massaging the area to break up the deep tissue and help your body start to absorb the destroyed fat cells. BodyFX can treat fatty tissue in larger areas like the abdomen, back, and thighs. It works by using radiofrequency energy, deep tissue heating, and suction with negative pressure that’s applied to your skin and fat. 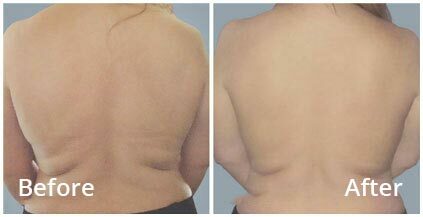 The radiofrequency energy distributes heat to the skin and fat and causes the tissues to contract. The vacuum and controlled energy pulses promote new collagen synthesis, the production of new skin cells, the death of fat cells, and effective body contouring. BodyFX smooths cellulite, permanently reduces fat, and tightens the skin with just one machine. Multiple treatments are needed for optimal results. You should have clear and realistic goals and expectations about the procedure and what you’d like to achieve. Body contouring isn’t a total weight loss solution, nor is it a replacement for a healthy lifestyle. If you’d like to find out more about the innovative Coolsculpting and BodyFX procedures, call the Ohana Medical Spa or book online today.